Judd Trump has made a huge impact on snooker since he burst on the scene – and now looks set to be crowned UK Champion this Sunday. Despite only being 22-years-old, Trump already has one ranking title to his name – this year’s China Open – and is big favourite heading into this final clash with Mark Allen. Allen has endured a difficult week after bein g roundly criticised for his own criticism of the change in format of the competition, but that hasn’t stopped him producing some brilliant snooker to make it to the final in York. 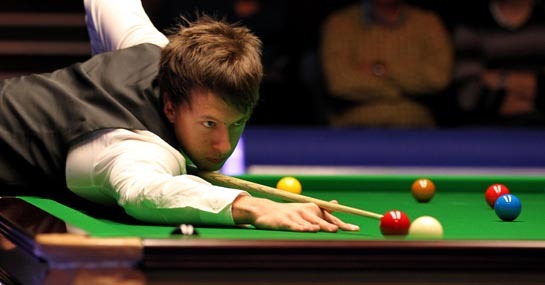 He is currently 15/8 to win the final, but Trump is looking solid on the baize. He has so far defeated three-times World Champion Ronnie O’Sullivan along with big names Stephen Maguire and Neil Robertson to make it to the final. However, he had to grind out the win against Robertson in the semi-final, with the Australian levelling the game at 7-7 before Trump came through in the race to nine. Trump has also only beaten Allen once in their previous three meetings meaning it would take a brave punter to completely rule Allen out at 15/8. Trump is improving all the time though and a run to last year’s World Championship final shows he is more than capable of dealing with the pressure on a big stage. Backing Trump at 4/9 still looks the most sensible punt although putting some cash on him to triumph by 1-2 frames also looks tempting at 7/2.